How could one imagine using iTunes as a delivery device for audiophile quality music? This would be heresy. Everyone knows that the music in iTunes is compressed unless you are to specify otherwise. The advantages of iTunes is convenience and ease of use. 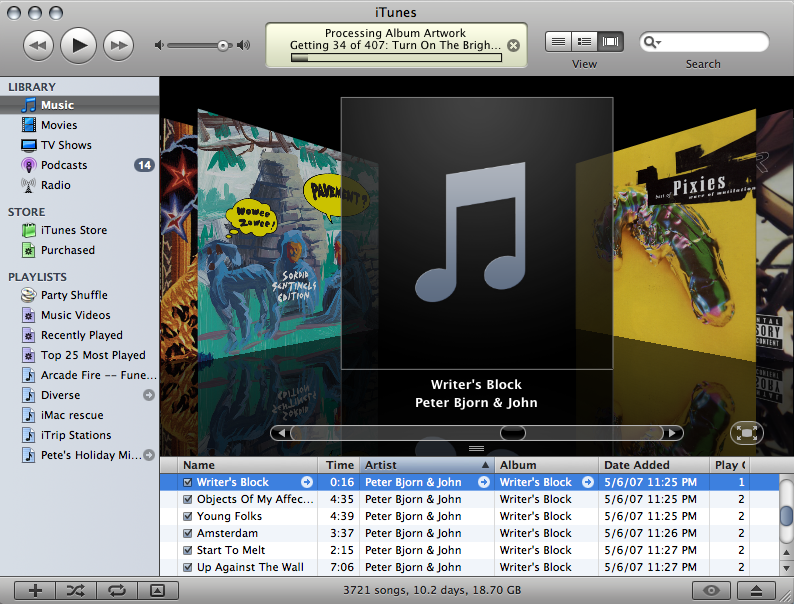 One may buy music files at a reasonable price and then load it on one’s iPod with little fuss. There are other advantages as well. Through iTunes we have access to top flight artists. The music store has a treasure chess of great recordings from the past along with greatest selection of up and coming musicians. Furthermore, the compression techniques used by Apple are quite sophisticated. We are discovering new ways to tap into an underlying potential of AAC. Apple, itself, is taking greater care in hand-tuning some of musical offerings by improved fidelity. We will discuss what is needed to get at this potentially greater fidelity. There are many considerations. The first one is, if we may be blunt, an Intel based Apple computer is required. Professional musicians and audio engineers simply prefer Mac. This is a statement of fact. Most of the software innovations in music reproduction are developed for the Mac. You may have a Windows computer which is all well and good. However, it is better to have a separate computer dedicated to audio alone. A Mac Mini is relatively inexpensive. Used one can be picked up for even less. Just be sure to get and Intel Mac Mini with a fairly large hard drive. It doesn’t have to be SSD because many of the software solution are able to store music files in memory, thus avoiding any disk spinning which could degrade the sound. The good news is that there are software solutions which will make your current iTunes catalogue sound more like analogue than digital regardless if the files or compressed or not and no matter what sampling rate was used to do the recording or transfer. How about high sampling rate and lossless recordings? Potentially they could sound better but many do not. The problem lies with the master tapes. Record companies are notorious about trashing or misplacing them. Remastered master tapes are not always what they pretend to be. The fault is more often the lack of integrity of the record labels than that of the engineers who do the digital transfer. Regrettably, for the moment, the high-definition digital distribution websites do not have access to much of today’s new artists. Apple’s iTunes has the best vault of quality music. The trick is to improve the sonic deliver and upgrade the sound quality. This can be done.